Argentinos Juniors have faced criticism for their corporate rebrand of their home ground – but what’s in a name? When William Shakespeare pondered the importance of nomenclature in Romeo and Juliet, the bard probably did not have sporting matters in mind. 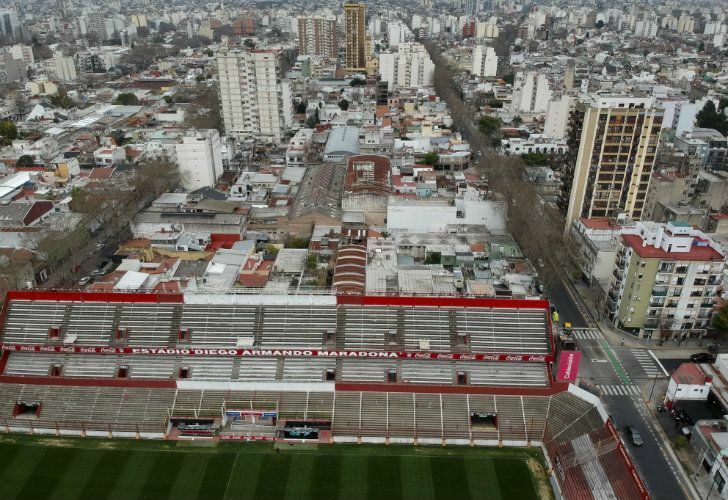 But names have jumped back on the agenda in the Superliga thanks to Argentinos Juniors breaking new ground in the top flight, taking the plunge by becoming the first team to give their home stadium a corporate rebrand. There is a certain historical irony around the decision to newly baptise La Paternal’s endearing three-sided football arena – one of the ends behind the net remains empty – the rather tongue-twisting ‘Estadio Autocredito Diego A. Maradona’, a tribute to both one of Argentina’s most beloved sons and the need for hard cash. The Bichos began life as ‘The Martyrs of Chicago,’ a name that reveals the anarchist sympathies of the club’s founders who wished to pay homage to those who lost their lives in the Windy City’s Haymarket Riots of 1886. 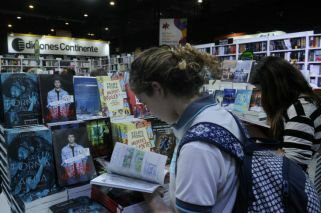 While a later merger led to the more anodyne Argentinos moniker being adopted, the side did not relinquish its sympathies with left-wing politics. Even the famous red shirt worn over the years by the likes of Maradona, Claudio Borghi, Juan Román Riquelme and countless other young stars has its own political meaning. The fiery colour was chosen in deference to Argentina’s first-ever socialist parliamentarian, Dr. Alfredo Palacios, who was elected to Congress in 1904, and has stuck with the ‘Red bugs’ ever since. More than a century later the abundance of abandoned factories that dot La Paternal, invariably daubed with graffiti exalting one or another left-wing splinter movement, or remembering murdered activist Mariano Ferreyra, leave clear the neighbourhood’s anti-capitalist traditions – as does the relatively high proportion of votes received by socialist or left-leaning candidates in elections compared to La Paternal’s bourgeois adjacent zones, excluding the progressive bastion of nearby Villa Crespo. That the ever-controversial topic of stadium sponsoring has landed first here is a contradiction that can only be explained by the anaemic state of the club’s bank balances after years of mismanagement. Malaspina has predictably faced no little backlash from the scheme, with “shameful” among the more printable insults fired his way. But the president is partially correct. Local football has a rich history of nicknames and fans’ self-identification that should be strong enough to fend off these tentative corporate advances. Boca Juniors supporters, for example, would be up in arms at any attempt to rename their beloved Bombonera. But the Xeneize stadium is known officially at least by the much less evocative tag of Alberto A. Armando, a former president of the institution. Over at Racing Club fans bristle at the idea of losing the Cilindro, a name adopted affectionately to refer to the Estadio Presidente Juan Domingo Perón – the General and his Racing-mad Economy minister Ramón Cereijo, as well as building Ezeiza airport, were instrumental in the construction of the club’s ground in 1950 thanks to a credit line extended by the state. 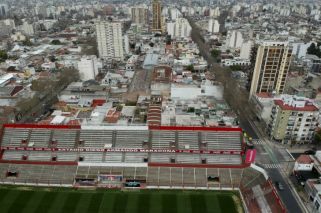 San Lorenzo’s Pedro Bidegain home will always be the Nuevo Gasometro, and late River Plate president Antonio Vespucio Liberti’s 20 years in charge of the club matter little when it comes to choosing whether to call the club’s home by his name or by the universal Monumental. What is in a name, after all? While the likes of Manchester City in England have had no problem in ditching their stadium’s historic name in favour of a new corporate look, and almost no new stadium in the United States is complete without a garish brand preceding its title, it is hard to see the trend sitting easily with fans who treasure intensely, even obsessively, their heritage. And there is no sponsor on earth with the might to change the name of the Bombonera or Monumental in supporters’ eyes.